We're back with another 'Meet The Jeweller' and today we're thrilled to introduce you to Nicola Bottono, a jeweller based in Cornwall creating stunning designs and running exciting workshops for jewellers. 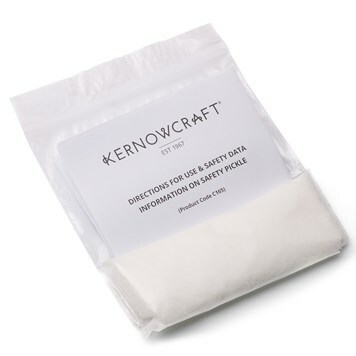 She's been a customer of Kernowcraft for over 25 years and we always love seeing what Niki's up to. 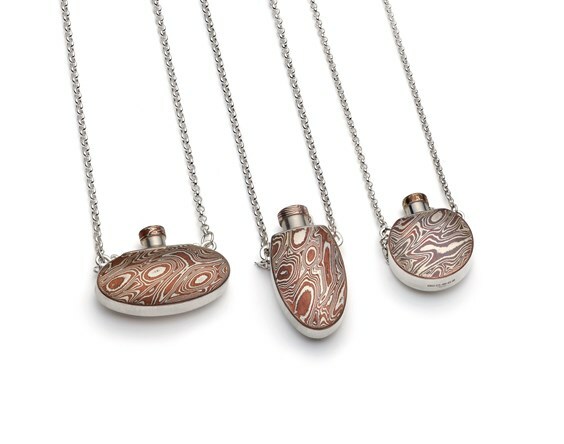 We admire Nicola's hard-working attitude, unique designs and how she works with different metals such a mokume gane to create something out of the ordinary. Discover Nicola's intricate pieces, the meaning behind her pendants and how she continues to develop her skills... you can also scroll down to the bottom of the page to discover Nicola's top recommendations from Kernowcraft too. If you would like to take part in our Meet The Jeweller series, please do get in touch by dropping us an email with a link to your sites. My story began when my father died. Bereft and consumed by my grief, I realised I had to switch focus. I applied to Truro College to enrol on a B.A. in Silversmithing and Jewellery. Here I fully applied myself to the aspects of design and construction of jewellery and vessels. The journey led to a personal transformation, redefining myself as a creative practitioner. What is the inspiration behind your designs and are you influenced by living in Cornwall? My designs are inspired by the nature and landscape of my home county. I spent a lot of my childhood out fishing with my dad, learning about plants, wildlife and aquatic species. But also the warmth of Cornish people, always up for a chat and a laugh, but if you need a friend, the door's always open and the kettle's always on. Where do you design and make your jewellery? I have a studio at Krowji, in Redruth. I designed the layout of the room so that my tools and equipment are close to hand. This makes me more productive and everything runs smoothly. Well mostly, a fair bit of swearing goes on! I have a bench across the back wall that accommodates three people which allows me to teach one to one or small group workshops. This works well as I can give students my full attention. It's difficult to sit and wait for help when you haven't got a clue what to do next. Been there, done that. 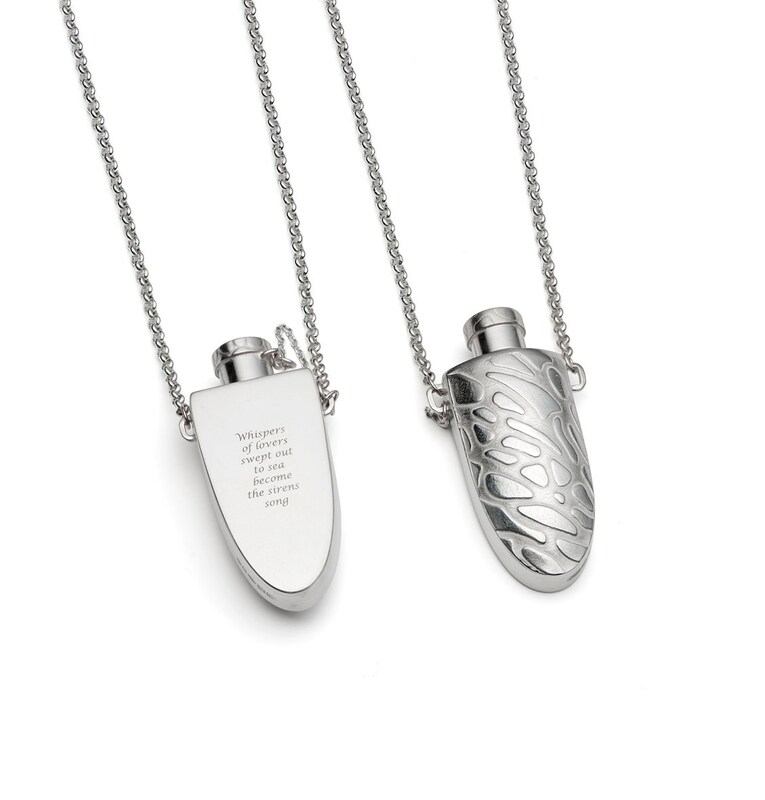 We adore your vessel pendants, what was the inspiration behind these? 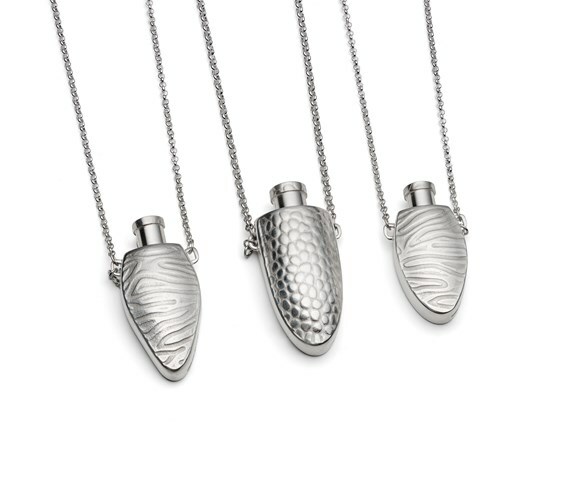 My vessel pendants are in essence, 'Memory Keepers'. 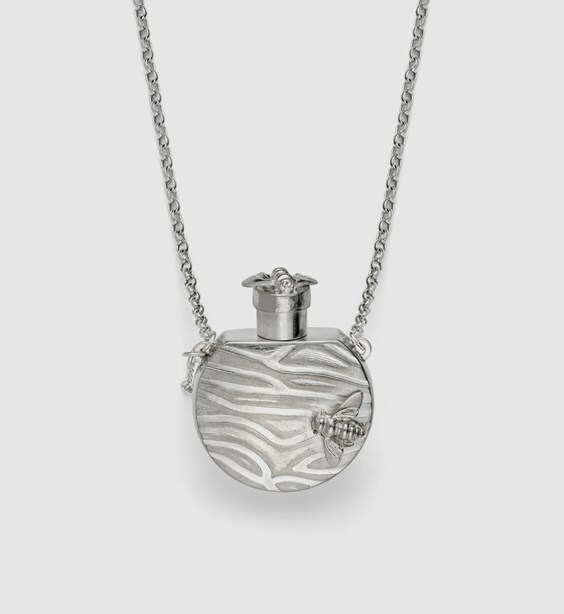 They allow treasured memories to be stored and worn close to the heart, creating connection and comfort. To me, their function is as important as their beauty. They are stories waiting to be told. I sell many to carry ashes of loved ones departed, it is an honour to provide comfort to someone at a time of great sadness. This helps close the circle of my own grief. What’s the most time-consuming part of making them? The construction of the bottle pendants involves many consecutive solderings. Each step progresses to a smaller element being soldered to the main body. This requires accuracy in set-up and the application of heat to get the solder to flow without melting the tiny elements. It is a test of skill and patience. When it's all soldered together you begin the clean-up and removal of fire stain. It is long winded and tedious but when the final polish is applied you know it's all been worth it. What do you like about using Mokume Gane and do you treat it differently to normal metal? 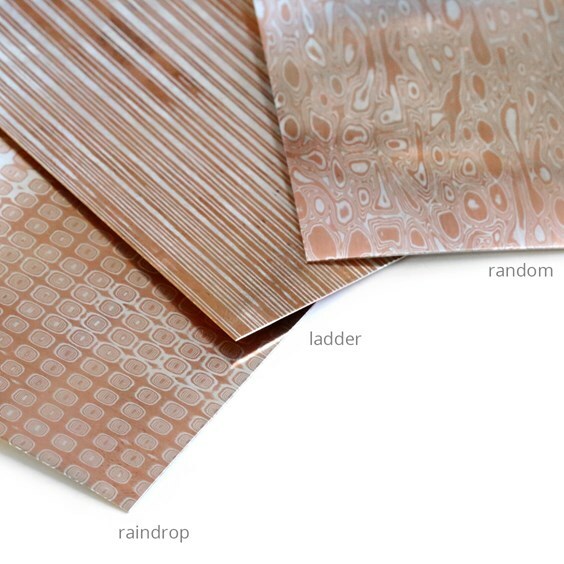 Mokume Gane is a beautiful patterned metal that works well with my vessels. Working with a metal that is a combination of silver and copper means that each alloy has different melting points. The challenge is to get the copper hot enough to get the solder to run without melting the silver. Reticulation of the silver can and does occur, but gentle filing and sanding can reveal the pattern once more. Where can we find your jewellery in Cornwall? As a member of Cornwall Crafts Association, I exhibit at Trelissick (Feock) and Trelowarren (Mawgan-in- Meneage) galleries. Also at Porthminster (St Ives), Polka Dot (Exeter), Beside the Wave (Falmouth), Xrospective (Penryn) and The Lane (Truro). We have a small exhibition space at Krowji and hold two Open Studio events annually. Has your jewellery changed and developed over the years? To develop my practice I like to challenge myself with new shapes and textures. I love forming larger vessels in copper and gilding metal and am always experimenting with patination. As a maker you have to keep moving forward, it keeps the spark alive. You run tailored jewellery workshops in Cornwall, what advice would you give to someone wishing to start jewellery making? Teaching was a natural progression for me. I am passionate about craftsmanship, therefore bench skills are my main focus when running workshops. If you understand the function of your tools and the discipline of techniques you can realise your designs accurately. Start with the basics and you'll save yourself a lot of frustration further down the road. Scrapping a half finished piece is heartbreaking. Working through the technical aspects of a design on paper allows you to see the pitfalls and modify them before you make your piece. It's so rewarding to see people proudly wearing their finished piece. My students are always amazed at what they achieve. WHERE CAN YOU FIND NICOLA? 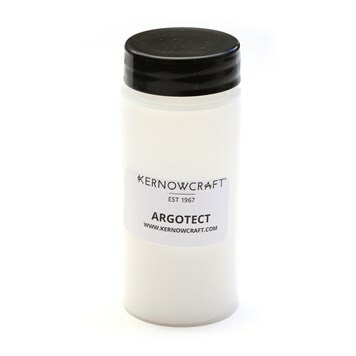 I would recommend argotect flux to protect from firestain. This saves hours of clean up. 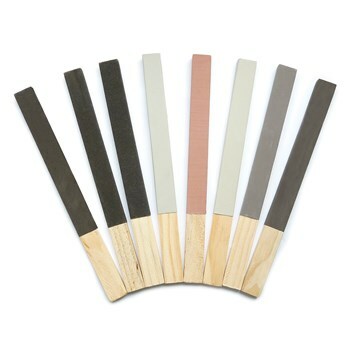 This handy pack of sturdy flat sticks with different grades allows precision removal of marks and scratches. A large pot lasts ages as I use a fondue set for pickling. Remember pickle vapour will rust your tools!